China is catching an estimated four million tons of fish too young or small for human consumption every year, exacerbating the country’s over-fishing problem and potentially decimating fish stocks. A new report by Greenpeace East Asia found that the number of “trash fish”, the name given to fish with little or no market value, caught by Chinese fleets each year is equivalent to Japan’s entire annual figure – according to a recent UN agency report. China’s seas are already heavily overfished. Official statistics from the country’s agriculture ministry show that China has exceeded its annual catch allowance every year since 1994. Data collected by Greenpeace East Asia states that one-third of China’s total annual catch is made up of trash fish. The findings are the result of one year of on-site investigations and sampling in 22 ports in eight of China’s main fisheries provinces. Once seen as an unwanted byproduct of industrial fishing, trash fish is increasingly in demand from the country’s booming fish farming, or aquaculture, sector. Figures suggest that the industry grew 10 fold between 1986 and 2015. In 2014, it is estimated that a total of 7.2 million tons of domestically caught trash fish were turned into feed for farmed fish, with a further 5.1 million tons of feed sourced from outside the country. In recent years, China has become the largest seafood exporter in the world. So far in 2017, according to statistics from HMRC, the UK has imported almost £79million worth of fish from China. In the previous year, that figure was £177m. The relentless demand for trash fish is putting pressure on China’s dwindling stocks. Of the species found in trash fish samples taken by Greenpeace East Asia in 22 Chinese ports, 44% were edible. That means those fish will never have an opportunity to breed and, in so doing, replenish fish stocks. 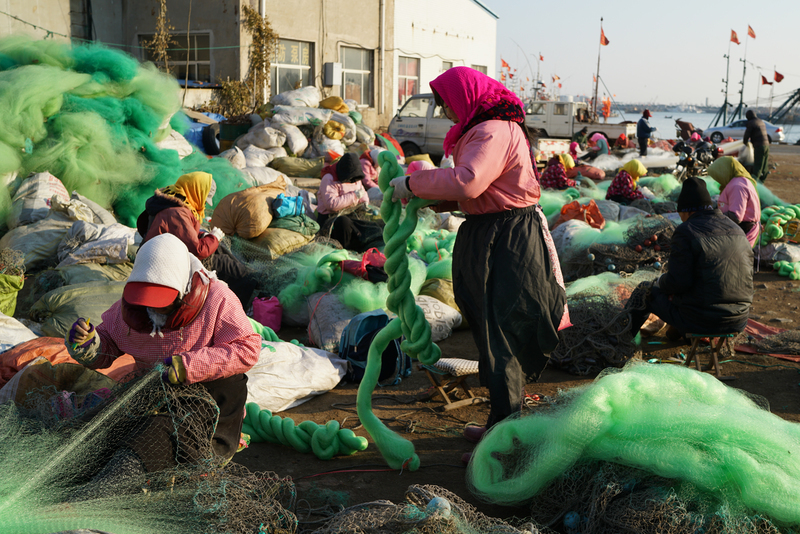 This could have devastating consequences for the future of China’s fishing industry. The challenge for China over the next few years will be whether it can square the demands of its expanding aquaculture sector with the need to maintain fish stocks for future generations.